Back in March 2011 Social Media Club proudly launched our educational initiative, the Social Media Book Club. This program highlights one book per month to learn best practices, explore timely case studies, and promote premiere thought leaders in social media. With the support of publishing companies like, McGraw-Hill, Wiley and Pearson, along with the numerous authors, we have successfully featured nine titles over 2011. Every month we feature a complimentary webinar hosting the author and highlighting issues of particular interest to our professional community. In case you missed out on our past reviews and author webinars, check out the recaps below to access the audio and slides from all the titles we hosted over 2011. Summary: A total blueprint for how businesses can drive innovation and growth through technology-based immersive customer collaboration. Launched from a landmark $10 million research project on the intersection of technology and business models, WikiBrands explains what businesses today need to do to embrace the power of p-2-p technologies like word-of-mouth, user generated content, social media, microblogging, crowdsourcing, prosumerism, and customer rating systems to engage customers and enlist them in brand building and value-enhancement. Part wake-up call, part action plan, Wikibrands is the total blueprint for how businesses can drive innovation and growth through technology-based immersive customer interaction. Foreword by Don Tapscott, author of Growing Up Digital and Wikinomics. March webinar recap available here. Summary: Now, thanks to the advent of the Internet and the rise of Web-based tools and technologies, you can create the kind of web content, blog posts, videos, webinars, and web sites that will attract customers to you, rather than you chasing after them. What’s more, you can entice your customers to share those stories with each other, all across the web. This book demystifies the idea of organizations as publishers. It streamlines the process of creating remarkable blogs, podcasts, webinars, ebooks, and other web content that will lure would-be customers to you. It walks you through the fundamentals of how to create bold stories, videos and blog posts. And then, once you’ve created the content, it tells you how to share it widely online to cultivate fans, arouse passion for your products or service, and ignite your business. April webinar recap available here. Summary: In Curation Nation, Steven Rosenbaum reveals why being a human aggregator is the key to growing an existing business or starting a new one. 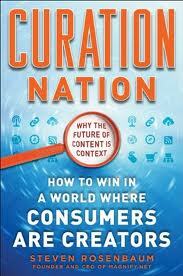 In fact, he asserts that curation is the only way to remain competitive in the future. Overwhelmed by too much content, increasing numbers of people are seeking a “boutique” online experience. Whether you’re a brand, a publisher, or a content entrepreneur, you can provide it. You can create a manageable, inviting online experience. You can extract value from an otherwise useless chaos of digital noise. In Curation Nation, Rosenbaum “curates the curators” by gathering together priceless insight and advice from and extraordinary collection of thinkers from media, advertising, publishing, commerce and web technologies. Curation Nation is both a journey and a guide to a phenomenon that levels the playing field, giving businesses equal access to the content abundance that is driving consumer adoption of the web. May webinar recap available here. June webinar recap available here. Summary: In the last year, the world of online video exploded. Hollywood got into the game, professional actors and writers joined in, and independent producers looked to find their niche. Now, companies are wide awake to the opportunities for product and brand promotion as well as customer engagement. So how do you want to fit into the new online video universe? The must-have guide, Get Seen by Steve Garfield, the “Paul Revere of video blogging,” offers a quick and complete toolkit to get you up to speed on the latest that online video and related media have to offer. 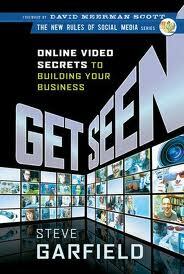 If you’re ready to take full advantage of online video’s many benefits, Get Seen is the one resource you need. July webinar recap available here. Summary: Social media platforms like Facebook, YouTube, and Twitter are fundamentally changing the way businesses and consumers behave, connecting hundreds of millions of people to each other via instant communication. This is a massive socio-economic shift that is fundamentally changing the way consumers and companies communicate and interact with each other. Welcome to the world of Socialnomics—where consumers and the societies they create online have a profound influence on our economy and the businesses that operate within it. Online word of mouth and the powerful influence of peer groups have already made many traditional marketing strategies obsolete. Today’s best businesses and marketers are learning to profitably navigate this new landscape. Brands can now be strengthened or destroyed by the use of social media. Advertising is less effective at influencing consumers than are the opinions of their peers, making direct-to-consumer marketing messages less valuable each day. But savvy companies are using online networking sites as massive focus groups and as an efficient means of communication with consumers. If social media isn’t a part of your business strategy, you’ve already fallen behind the curve—and your competition. In Socialnomics, Erik Qualman offers a fascinating look at the impact of social media on business to reveal what the future holds and how businesses can best take advantage of it. He explores how social media is changing the way businesses produce, market, and sell products; how it eliminates inefficient marketing tactics and middlemen; and how businesses are connecting directly with their customers through popular social media platforms. Social media will continue to change the way businesses market products and how consumers and businesses interact with each other. If you’re a marketer or business owner, the big question is whether you’ll keep up with those changes. Socialnomics is an essential resource for anyone who wants to understand the implications of social media, and how to tap its power to increase sales, cut marketing costs, and communicate directly with consumers. August webinar recap available here. This book will cover much of what is currently known about Social Media Monitoring and Social Media ROI. It will breakdown what businesses need to track on the web in Social Media based on verticals and applications. Best practices for effective social media analytics will also be put forward. Analytics refers to the behind the scenes data relating to web sites, visits and visitors: the source or referral that got them to a page (where were they before they clicked on the site or the specific page), what sort of computer or operating system they use (Mac or PC), how long they spent on a page, how many different pages on the site do they visit, how often do they return to the site (provided cookies can track their information) and many other statistics of interest to owners of web sites. September webinar recap available here. Find the best company and most fulfilling job! From the basics to advanced techniques, this is the first place to look…for the last word on online networking and what LinkedIn can do for you. October webinar recap available here. Summary: Have you ever heard of an internal entrepreneur? You might know the type. They are the kind of employee who pursues the trends of the future into their work everyday. Often looked at as just outside the mainstream, more often than not the decisions internal entrepreneurs make on behalf of an organization pay off in spades. 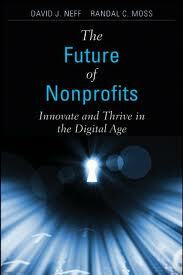 The Future of Nonprofits teaches organizations how to capitalize on internal innovations and entrepreneurial employees. Innovative nonprofits are able to better predict future trends and then reshape their culture, structure, and staff to make the most of the future business environment. By applying the strategies laid out in this book, nonprofit professionals of all levels can prepare their organizations to take advantage of future trends and develop innovative “internal entrepreneurs” that will grow revenue and drive their mission. November webinar recap available here. A big thanks to our Book Club partners and reviewers over the last nine months. This has been a great learning experience for us and our Professional community and we look forward to a successful 2012. We have already secured titles for January-July of 2012 and look forward to sharing more great resources with you in the new year! To purhase any of the titles we’ve featured over the last nine months, please visit our Amazon store*.